When you buy a Toyota from CMI Toyota, you're not just getting a new car. You're getting a team of people that will care for, and protect you and your car now and into the future. Toyota's quality, durability, reliability and safety are legendary. To be the most reliable, dependable car brand in the world, you can't rest on your laurels. You must be constantly testing, refining and improving. Toyota is changing the way Australians buy cars. Toyota Finance offers a range of flexible finance and insurance options including Toyota Access, so you can choose a finance package that suits you to get into a new Toyota as simply as possible. 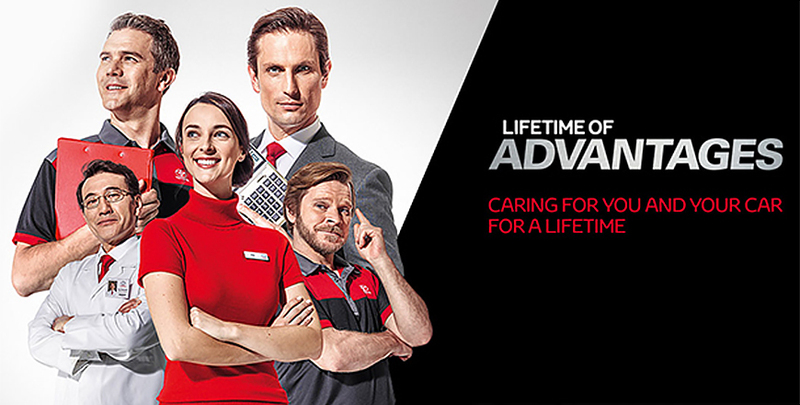 When you own a Toyota, you not only get legendary quality and reliability, you also have the backing of every Toyota dealer's expertise wherever you drive - with genuine Service, Parts, Accessories and the most extensive and experienced dealer network.